Dr. Baratt graduated from the Colorado State College of Veterinary Medicine in 1981 after obtaining a Master's degree in Pathology. He founded Salem Valley Equine Clinic in 1983, and the equine practice eventually expanded to include companion animals, Salem Valley Veterinary Clinic, in 1992. He developed a keen interest in dentistry, and is the first veterinarian to obtain Fellowship in the Academy of Veterinary Dentistry (FAVD) in both small animal and equine dentistry. 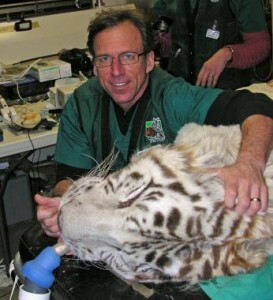 In 2013, Dr. Baratt achieved Diplomate status with the American Veterinary Dental College (AVDC), Equine Speciality. In 2016, he achieved Diplomate status with the American Veterinary Dental College, Small Animal. Dr. Baratt travels extensively to instruct fellow veterinarians and veterinary students in both small animal and equine dentistry with lectures and hand-on wetlabs. To see his full curriculum vitae, click here. 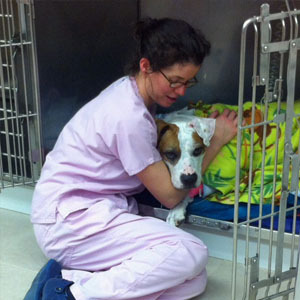 Dr. Slater, a Connecticut native, received her Bachelor of Arts in biology from Smith College in 2000, and her veterinary degree from Tufts University in 2006. Following graduation, she completed a one year internship in equine medicine and surgery at Saratoga Equine Veterinary Services in Saratoga Springs, NY. After a brief time in Maine working in mixed animal practice, Dr. Slater returned home to join Salem Valley Veterinary Clinic. Dr. Slater currently lives in Guilford with her husband, Scott, her son Nathan, her daughter Hazel, their two dogs Jack and Tanner, and their cats Slatercat and Cupcake. When not at work she enjoys running, cycling, hiking, and spending time with her family. Dr. Slater is practicing small animal medicine in the clinic and has a special interest in dermatology and geriatric care.